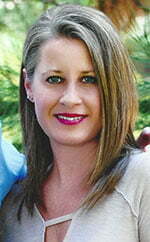 Jennifer has been working in the medical field since 1990, and has been with Dr. Buford since 2002. Jennifer brings to BEAUTY by BUFORD a commitment to precision, a passion for educating, and a proven ability to build lasting relationships. She coordinates the administrative side of the business, and is the “behind the scenes” force that keeps the team functioning at the highest level. Committed to customer service and patient satisfaction, she is someone who dedicates her time and effort to ensure that the best quality care is offered to all patients. On a personal note, Jennifer has resided in Castle Rock, Co for the past 18 years. She is happily married to her husband of 18 years Derek and her 2 beautiful children Kailey and Riley. In her spare time you will find her on the sidelines of her children’s soccer or football games, running, gardening, camping or spoiling the newest addition of her family, Remi, a Labrador retriever. Christina will welcome you to our office with her friendly smile and upbeat personality. She values building relationships and being a dependable resource for our patients. 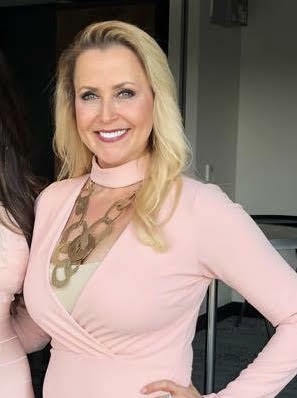 She is no stranger to the beauty industry, as she is a longtime owner of an image consulting business, “Creating the Perfect You.” Naturally, Christina has a fascination and appreciation for the positive impacts plastic and reconstructive surgery can have on an individual. Through her work as a consultant in overseeing aspiring models and pageant contestants, Christina brings our office a wealth of knowledge in beauty regimes and overall health wellness. When the opportunity was presented to become part of the BEAUTY by BUFORD team, she jumped at the chance, as she knew she would be a great addition. As you begin your journey with Dr. Buford and his team, Christina is readily available to help schedule appointments and is always delighted to help assist with any of your Beauty By Buford needs. On a personal note, Christina is a mother of two wonderful teenagers and spends her spare time with her partner, Brian, and keeping up with the family’s busy schedule.